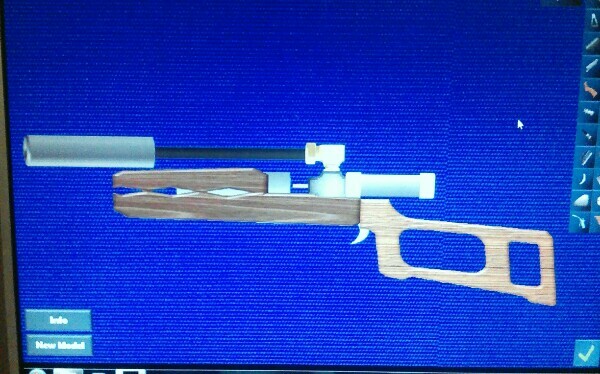 This thread is for my PC app, the Air Gun Design Program. This app lets you create designs in real time and offers a variety of editing options. - Snap origins corrected. Less chance of double clicking. - Tear in canvas fixed. Ugly seam removed. RAR File (http://www.mediafire.com/file/71dh1lp5i ... .rar/file#) new destination. RAR's must be extracted. You may even have to turn your anti-virus off. Even my own AVG gets upset when I try to download my own app! Last edited by Hurricane Air Arms on Sun Oct 07, 2018 6:22 pm, edited 1 time in total. lastly, IF YOU LOVE GOD do NOT attempt to press the wireframe mode button whilst also in the process of placing a selected item, you'll wreck the switch variable. I discovered this WAY too late to fix it properly, so just don't do it. if you DO, you'll have to start a new sketch! I’ll fix it at some stage. For now I just want a functioning app! This is too cool. Can't wait to give it a try. Just a quick note that the above download link will expire in about 12 days so there will be a new file destination of mediafire.com, speaking of which, this new RAR will give me a quick chance to update. - Add two more background canvas colours; White and Dark Grey. - Fix an issue where "new model" was not creating a new canvas. - Fix a "tear" in the canvas, now displays as seamless. - Set the depth counter to hang off of the mouse by 128 pixels to the right. - Fix mouse origins on ALL objects to counter any involuntary tapping on of two objects at once. Eg. barrels are snapped to the front, stocks are snapped to the back.